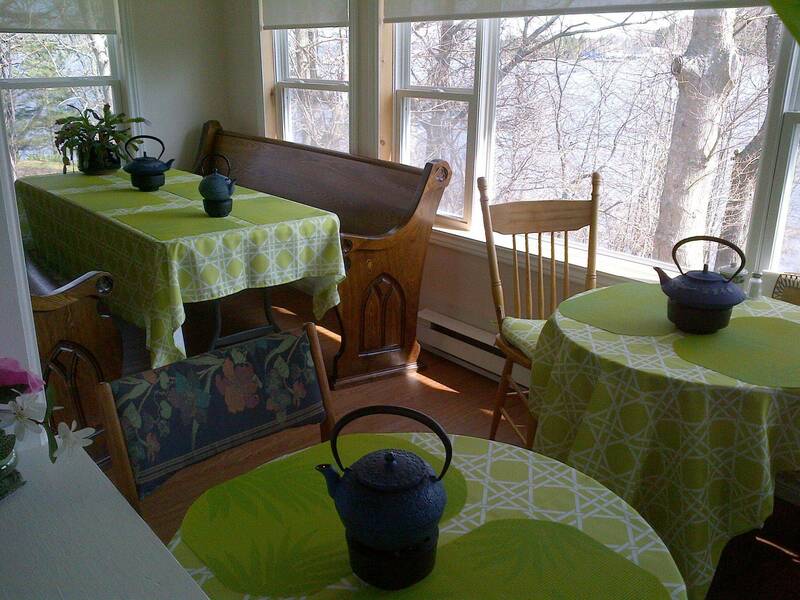 The Rose Cottage is a small family heritage home, built by Elizabeth's's grandfather in 1926. It has been transformed and dedicated to the healing of both people and the planet. Elizabeth opened The Rose Cottage in June 2015. At The Rose Cottage, our mission is to empower you mentally, emotionally, physically and spiritually. Reliable, effective, and current hypnosis, healing and channeling techniques enable you to overcome daily struggles with stress, fear, pain, or sleep challenges, plus let go of unwanted habits such as smoking, stress and weight gain, in order for you to achieve a healthier lifestyle, reach peak performance or a life goal. We also offer you extensive opportunities to explore consciousness through past life regression, life between lives regression, energy release, plus channelling or mediumship. We regularly see our techniques unblock, inspire, heal and enable clients to heal, succeed, move forward, and change their lives for the better. Elizabeth is also a Chartered Investment Manager (CIM®) with over 25 years of experience in institutional investment management. She received her Bachelor of Fine Arts (hons) Degree from Mount Allison University in Sackville, NB. Since 1989, Elizabeth has counseled large institutions on the path to achieving financial success in the capital markets. In 2001, her focus shifted and she began helping individuals heal, expand their awareness, and accomplish specific behavior and life goals through powerful hypnosis, healing, a channeling and counseling techniques. 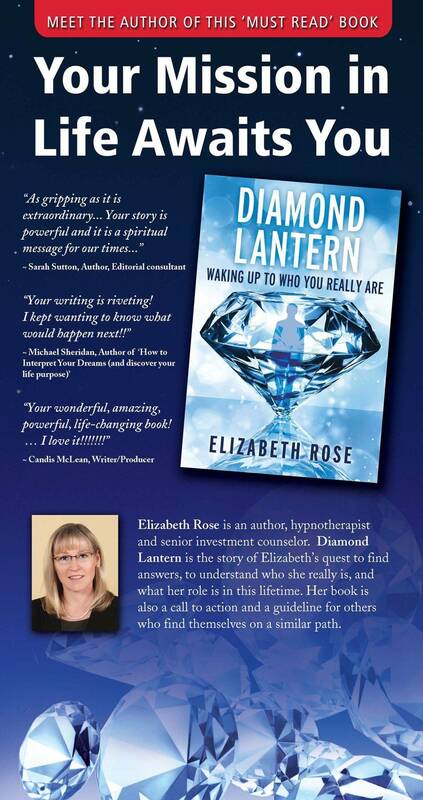 Elizabeth Rose is a deep trance channel, international speaker, and author of the book Diamond Lantern, Waking-up to Who You Really Are. Her next book will explore Historical Research using Past Life Regression. Elizabeth's credentials include Certified Master Clinical Hypnotist, Certified Metaphysical Hypnotist, Certified Hypnosis Instructor with the National Guild of Hypnotists, Inc., and Natural Healing Arts Facilitator. She's also a Chartered Investment Manager (CIM) with over 25 years of experience working with pension funds, foundations and endowments in institutional investment management. 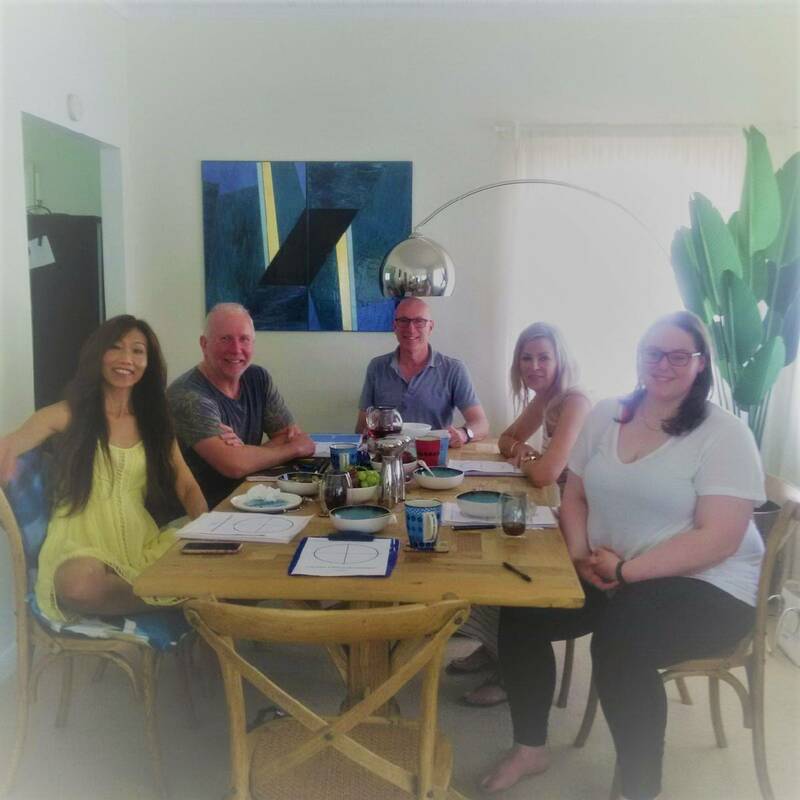 Elizabeth has facilitated individuals and groups in thousands of hours of Channeling, Energy Healing, Channelled Hypnosis, Dream Interpretation plus many other protocols. 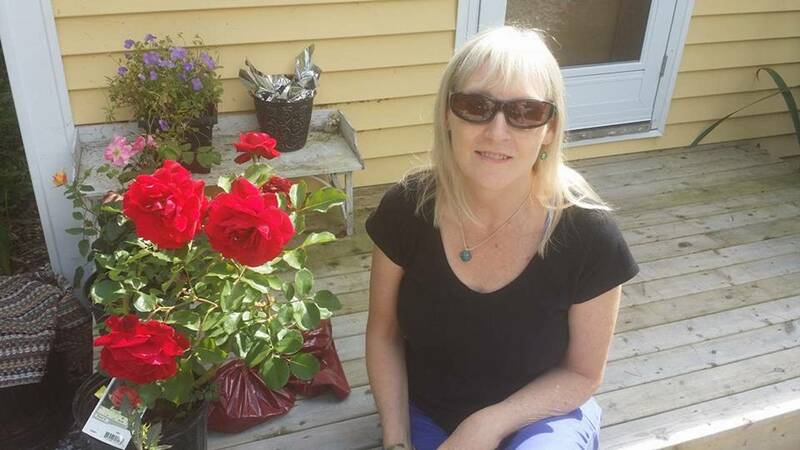 Her Full Immersion into Spirit Intensive protocol allows clients to experience Deep Trance Channeling, Channeled Energy Healing, and Consciousness Exploration for one to ten days at therosecottage.ca in Saint John, NB or in hourly sessions via SKYPE. Elizabeth travels, lectures, and teaches the NGH Professional Hypnotist Certification Course, Past Life Regression, Inter-Life Regression, Entity Release, Healing through Nutrition, Customized Ascended Master Yoga, Michael Sheridan's Dream Interpretation Course, Dr. Sharon Forrest's CCMBA/CCSMC Healing, the Full Immersion into Spirit Intensive, plus many other protocols. Elizabeth works with clients locally and around the world, either in-person or via Skype. Clients who've completed the Full Immersion into Spirit protocol become Clear Channels and Healers themselves. Some have opened their own Healing Centers. Elizabeth writes regular BLOG POSTS on diamondlantern.com. For decades, Elizabeth studied and practiced different types of meditation including Tibetan Buddhist meditation and Hindu meditation, which led her to study Consciousness Exploration using sound at The Monroe Institute in Virginia. 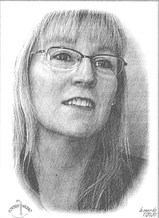 Experiences at The Monroe Institute sparked her interest in Hypnosis. Elizabeth completed the NGH Professional Hypnotist Certification, Metaphysical Hypnosis Certification, and the Master Clinical Hypnotist Certification through the Ontario Hypnosis Centre (OHC) in Toronto. 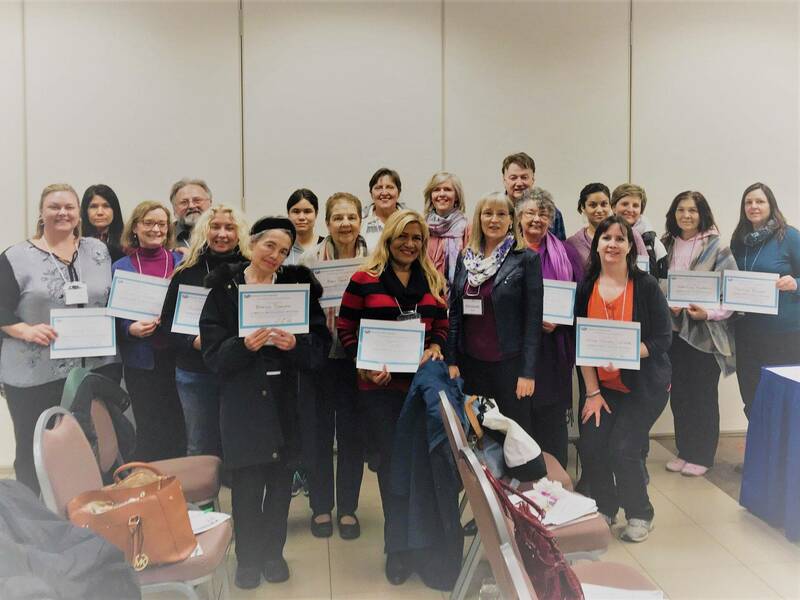 After completing and auditing each course several times, Elizabeth became a Certified Instructor in Clinical Hypnosis with the National Guild of Hypnotists, Inc., in Marlborough, MA, USA. 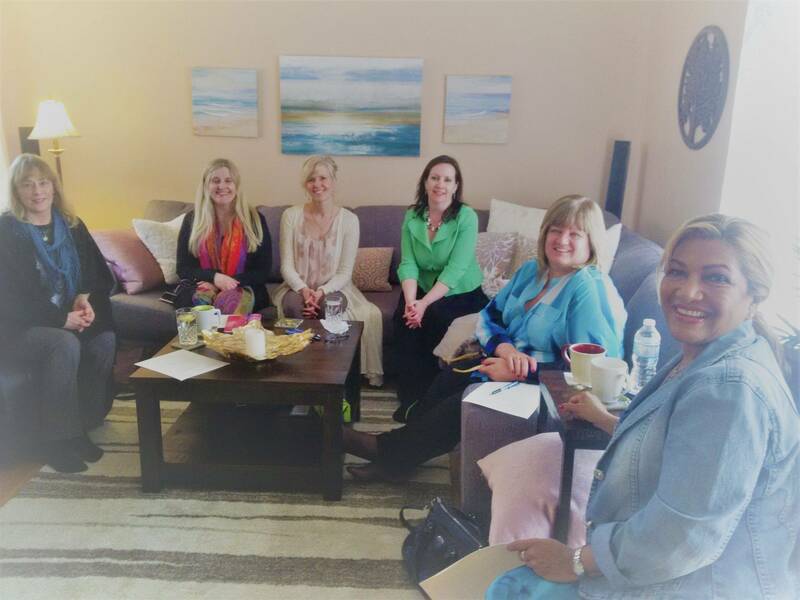 At the OHC, she worked with clients plus collaborated on hypnosis research projects using Past Life Regression with Tariq Sattaur, the OHC Director. Her studies in ultra-deep states of hypnosis led Elizabeth to spontaneously deep trance channeling which resulted in her new channeled protocol 'Full Immersion into Spirit.' 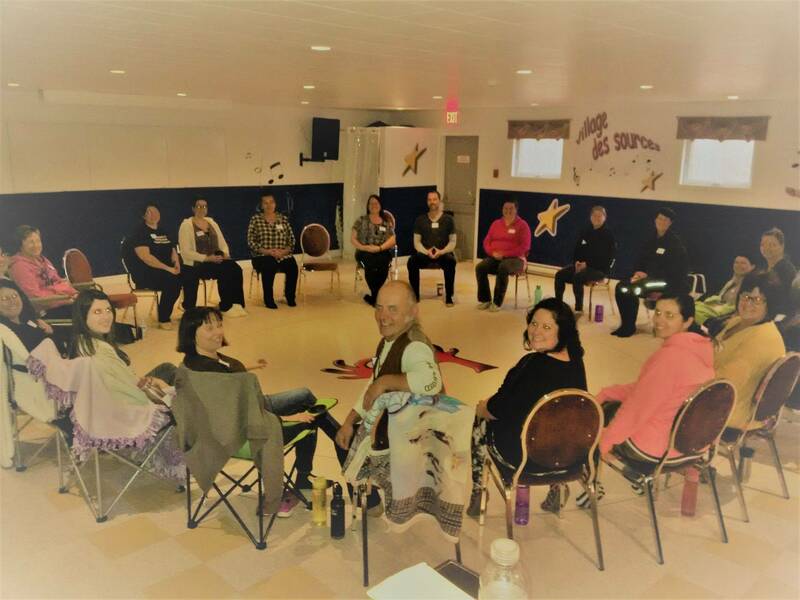 Elizabeth began teaching/facilitating Full Immersion into Spirit and later collaborated on several channeling workshops with Krista Moore in Ontario. In Marlborough, Massachusetts, Elizabeth studied The Elman Technique with Larry and Cheryl Elman plus Shawn Michael Andrews, also known as the World’s Fastest Hypnotist. In Toronto she completed Will Horton’s Neuro Linguistic Programming (NLP) Certification Course, Pain Management with Shawn Gallagher, and Gestalt Therapy for Hypnotists with Carlos Rivas. 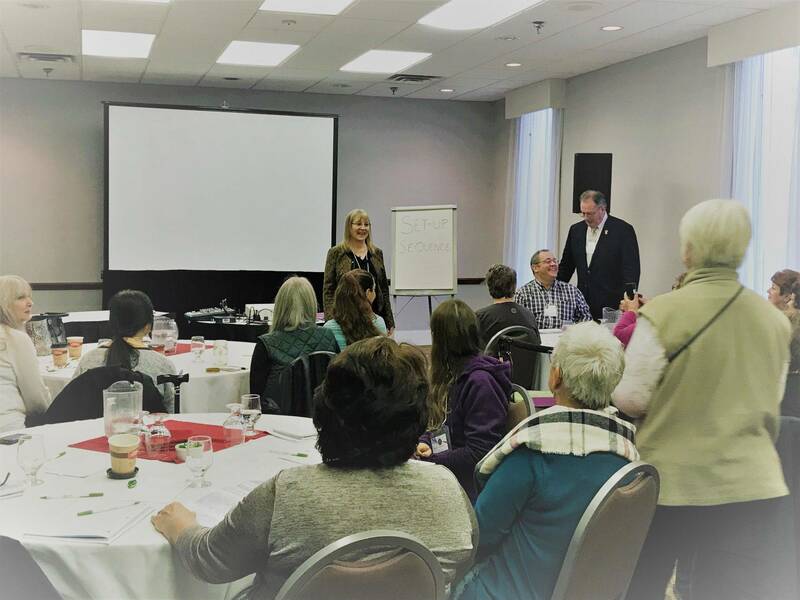 At the Canadian Hypnosis Conference, founded by Jo-Anne Eadie (now called HypnoBiz Canada), Elizabeth studied Emotional Freedom Technique (EFT) with Ted Robinson, The Simpson Protocol course with Ines Simpson and Clinical Hypnotherapy for PTSD with Pierre Benoit. Since 2015, Elizabeth has taught and facilitated lectures and two-day workshops and classes through the Canadian Hypnosis Conference/HypnoBiz Canada and Hypnothoughts in Las Vegas. Elizabeth first learned Energy Healing at Dr. Adam McLeod's Dreamhealer Workshops, based in Vancouver, BC. Later, on Vancouver Island, Elizabeth studied Behavioural Medicine, Preventative Medicine and Energy Psychology with Dr. Sharon Forrest where she received the Natural Healing Arts Facilitator Certification. Elizabeth is a member of the National Guild of Hypnotists, Inc. (“NGH”), a not-for-profit, educational corporation established in 1950. The NGH is an international group, supported by nearly 14,000 certified Consulting Hypnotists in close to 100 countries, who are committed to advancing the field of hypnotism. 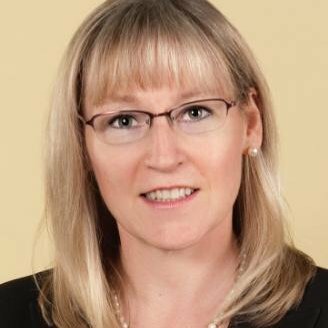 Previously, Elizabeth worked with Pension Funds, Foundations and Endowments in institutional investment management for 25 years and became a Chartered Investment Manager (CIM®) through the Canadian Securities Institute. On February 11, 2001, while working her way up the corporate ladder, Elizabeth experienced an abrupt awakening that she wasn’t ready for. Suddenly finding herself with one foot on the ground and the other foot in the non-physical world of spirit, Elizabeth set off on a quest to understand what was going on, with herself, with others, and with Planet Earth. (http://www.diamondlantern.com/books/) and on Amazon Kindle (http://www.amazon.com/dp/B008EDKTZQ). Hi Elizabeth....I am speechless after today’s session with you. It was so amazing.... so profound. You are truly gifted. I already payed for another session, for 1 ½ hrs. Let me know your first available. Thanks for all your help. Blessings! I’ve taught dream analysis for 25 years with a very strong spiritual direction. After 3 days of Full Immersion into Spirit, I’ve come away completely opened up. It was so fast, right to the nub of issues. Elizabeth regressed me to former lives, to future lives, to preparation for this life and places I’d known about but never seen. It was just absolutely amazing! I was hoping she’d look beyond the veil and have a strong connection with the spirit world but she just took the veil completely away! All the issues I had were worked at from a spiritual perspective. I’d never had things move so quickly for me before. For instance, I trance channelled which is something I’ve wanted to do for a very long time. If my experience before and my knowledge before were from reading The Hobbit, now I’ve been put in touch with Lord of the Rings. I realized that what I knew before was just a piece of the knowledge that was important for me to move forward in my life. I’m given all that knowledge now! I’ve been given energies. I’ve been given the full explanation. I got comprehensive answers, nothing fluffy. It just was stunning! If you’re thinking about doing Full Immersion into Spirit, you will absolutely not regret doing it. This is beyond anything you’ve ever done before. That was the most interesting Skype conversation I’ve ever had. Thank you! I’ll book another.